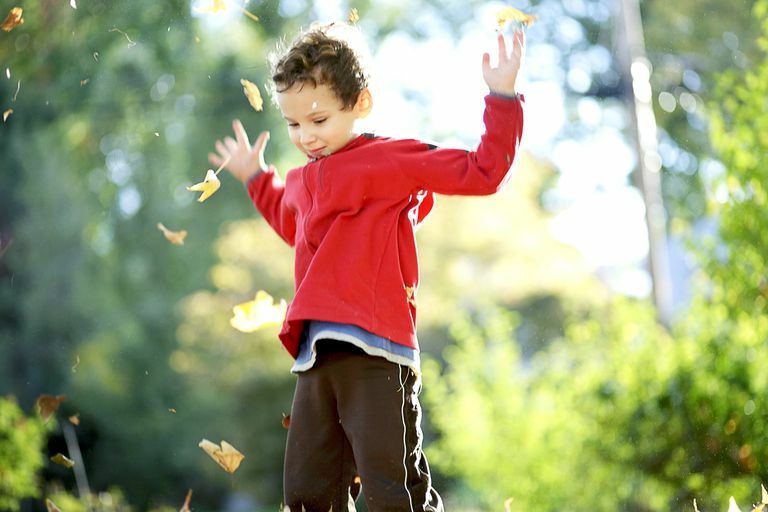 Generally, ADHD develops in childhood, although it might not be diagnosed until later in life. It continues into adolescence and adulthood. ADHD affects all aspects of life, including achievement in school and work, relationships, health, and finances. It also has an emotional cost, as many people with ADHD experience deep shame and a sense of failure as they struggle with daily activities other people seem to do effortlessly. In the past, these types were called "ADHD subtypes." They are now called "presentations." For example, someone might be diagnosed with attention deficit hyperactivity disorder, combined presentation. Are always moving and "on the go"
Make impulsive decisions without thinking of the consequences. This can sometimes be physically dangerous or hurtful to others. By far the biggest cause of ADHD is genes. Research and studies on families, twins, and adopted children have been helpful in our understanding of the genetic factors of ADHD. The most accurate way to get an ADHD evaluation is to have detailed testing done by an experienced clinician. There may be differences in who is licensed and qualified to make an ADHD diagnosis; however, it is typically psychiatrists, psychologists, neurologists, and some family doctors that carry out evaluations. There is not a definitive test, like a blood test, to see if you have ADHD. Instead, an evaluation is carried out. This includes many elements as the practitioner pieces together information about you from various sources. Information is gathered from medical and school records, interviews with parents, and questionnaires. Your working memory and other cognitive functions may be tested. It is also important to check that your symptoms are not due to another condition, as other conditions sometimes occur at the same time as ADHD. For this reason, you could also be screened for learning disabilities. Students are allowed accommodations to help them get the grades they are capable of achieving. For example, another person can take notes for the student in the class, and a quiet room can be provided to write exams. In the workplace, there might be accommodations available that support workers in their job performance. Education about ADHD is key. ADHD knowledge can come from formal sources like doctors and professionals, and informal sources like websites, books, and podcasts. Learning about ADHD helps you to understand the condition and how it uniquely affects you or your child. In 1845, Dr. Heinrich Hoffman described ADHD in a book called, The Story of Fidgety Philip. In 1902, Sir George F. Still wrote the first clinical description of a group of children who showed impulsivity and behavior problems. He called this condition "defect of moral control." In the 1950s, ADHD was called "hyperkinetic impulse disorder." People often get confused with the terms ADD and ADHD. They are both acronyms for the same condition. The condition we now call ADHD has had many names over the last 100 years. As more research is carried out and our understanding of the condition deepens, the official name changes to reflect this new knowledge. ADD was used from 1980 to 1987, to describe what we now call ADHD inattentive presentation. However, some authors and doctors still use ADD when they refer to inattentive ADHD or use ADD and ADHD interchangeably. ADHD used to be considered a condition that children would "grow out of." We now know that ADHD spans a lifetime. Symptoms can change with age. For example, impulsivity might decrease. People also develop conscious and subconscious strategies to manage their symptoms. However, ADHD continues to be present, and ongoing treatment and management are required. Females with ADHD do face some extra challenges. The hormonal changes women experience throughout their life, from puberty, pregnancy, and menopause, as well as monthly changes, can make ADHD symptoms worse. Treuer T, Gau SS, Mendez L, et al. A Systematic Review of Combination Therapy with Stimulants and Atomoxetine for Attention-Deficit/Hyperactivity Disorder, including Patient Characteristics, Treatment Strategies, Effectiveness, and Tolerability. Journal of Child and Adolescent Psychopharmacology. 2013; 23:179-193.